Public Economics, Public Finance: Theory of Public Finance, Taxation and Public Expenditure Analysis, Fiscal Policy and Fiscal Reforms. Economic Development and Economic Planning including Regional Planning (Experience of country study in India at national, State and Local bodies’ levels). Public Policy Analysis: Macro-Economic Policy, Economic Reforms, Globalization, and Economic Liberalization. B.A. (Hons. ), Economics, University of Mysore, India, 1959, Second Class. M.A., Economics, University of Mysore, India, 1960, First Class. Ph.D., Economics (Title of the thesis: A STUDY OF THE TAX STRUCTURE OF NEW MYSORE STATE), University of Bombay, India, 1966. Thirty years of teaching and research experience in Indian Universities/ Research Institutions. A short period of experience in Economic Journalism in India. Three years of experience as the Director of the Institute for Social and Economic Change, Bangalore (founded by Professor V.K R V Rao), 1984-87. Seven years of experience as Economic Adviser to Government of Karnataka, (1987-94). One and half years’ as the Chairman, Karnataka State Finance Commission. Two years of experience as Member of Indian Planning Commission, 1996-98 (equivalent to Minister of State of the Government of India). Led a quasi-official Delegation to Japan as Chairman of India-Japan Study Committee, 1996. Ninety one research papers published in Indian, Australian, American, West German, Dutch and Japanese research journals. Attended Seven International Seminars and contributed papers . Attended about Forty Five Seminars/ Conferences in India and contributed papers/Keynote Addresses which have been published. Life Member of the Indian Economic Association, since 1973. Life Member of Agricultural Economics Research Association ,(India), since 1997. 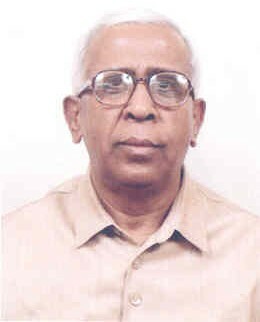 Founder Member of the Institute for Social and Economic Change, Bangalore, (India), since 1973. Chairman, Board of Trustees and Founder-Trustee, Asian Institute of Urban Development, Bangalore, (India), since August 1987. Visited about twelve universities in USA and Canada as a Ford Foundation Visiting Fellow during 1977. Visiting Fellow, Centre for Research on Federal Financial Relations, Australian National University, Canberra, September-November, 1982. Invited to be a Member of the Board of Directors, Public Affairs Centre, Bangalore (India) from 1996 to 2001.